Great design breathes life into great content. Our graphic design fuses form with function, turning every project into an engaging experience for your clients and supporters. From online to print, we create resources that show, tell, and invite, nurturing your customers and your community with knowledge they value—and calls to action that they want to answer. We ensure that your brand is clear, consistent, and effective—on your website, in your annual report, at events—every time you show your face. Check out select examples of our design work here. 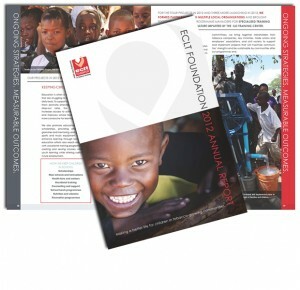 Learn about our annual report design packages for nonprofits here.